Essential Elements of an Essay= Plot, Character, Conflict, Theme & Setting!! Remember pretty R.O.S.E for solving word problems!!! And remember the story about my friend....Irish prepositions are relevant!!!! Get set up on duolingo also! Maybe the St. Kilda's keeper should have done this when his defence were giving out to him???? Three boxes under my stairs contain apples or pears or both. Each box contains the same number of pieces of fruit. The first box contains all 12 of the apples and one-ninth of all the pears. How many pieces of fruit in each box? We all need to drink more water!!! Lily winning gold at the Olympics!!!! Ireland VS New Zeland- Rugby World Cup Final 2015!! What we learned today about quadrilaterals- 19th Jan- NB- read over!!! Grammar rules that all of us in 6th class know......right??? More on energy which we are studying this week! Here in 6th class in Kildimo the children really love getting lots of homework!!! Showing 8 files from page 6th Forms and Documents. Irish Quiz- An- éasca, nach ea???? Our video on social media from Friday! What would happen if humans disappeared?? 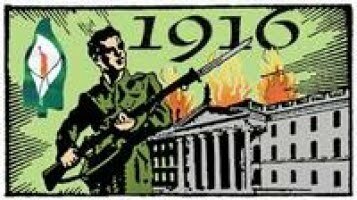 Seanfhocal na Seachtaine: Níl aon tinteán mar do thinteán féin.